Oakland poetess Regina Davis at our first-ever Giving(BACK)Tuesday to celebrate the peace-making work here in Oakland and affirm our collective commitment to achieving it. Volunteer with the OPC | Give to the OPC. the every-day, intentional acts of peace each of us has the capacity to offer. And that is why the work of the Oakland Peace Center matters. The OPC brings together the very best of our hopes and our intentions and connects them to folks and organizations on the ground where peace is needed, where it is being cultivated, where it changes lives and communities. We and Us. Our movements, our liberations, our victories, small and large have been the result our power in numbers, and the coaction of the strongest, brightest and most incredible people, who are around us every day. 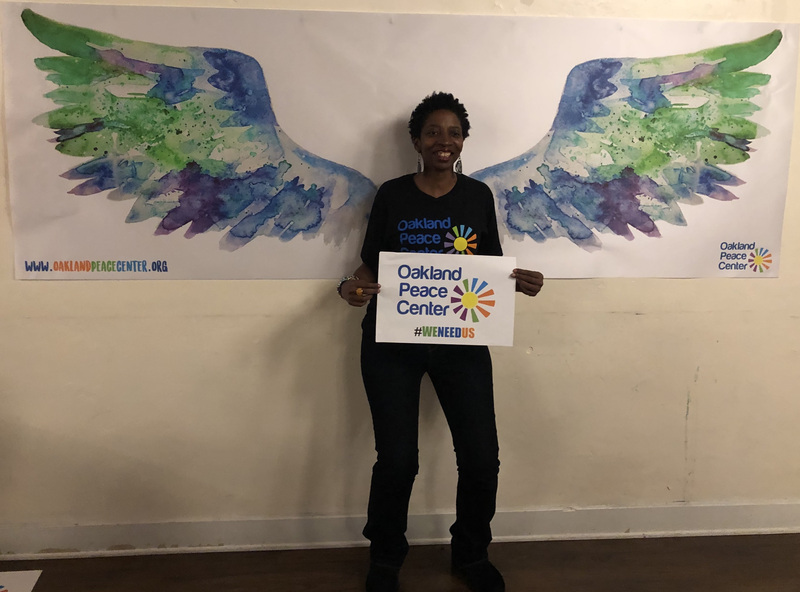 This is why I am blessed to begin a new journey of collaboration with some of the most inspiring and progressive minds and organizations at the Oakland Peace Center, who are working on the front lines to effect peace in our communities. Some change needs to become a learned behavior. This work is groundbreaking. We are living peace as work, as mission, as our ethos. It matters because we matter. This work matters because art and storytelling empowers communities to overwrite with love, the narrative of hate that dominate culture is perpetuating. Together, we are creating something new, modeling a new way of being in relationship with each other and proposing, collaboratively, an alternative way of being in the world. But we can do so much more collectively than we can on our own. That’s where you come in! You sustain us every single day this collective is in operation. You volunteer. You share. You give. Tell us about your intentional acts of peace here. Make an end-of-year gift to the work of the OPC here. Indeed, a more peaceful Oakland is possible because of the work of the Oakland Peace Center and the many folks who are a part of that work. We and Us. Thank you for being a part of both. Note: The OPC board and staff are holding in special care and intention Sandhya and her family as her father recently suffered an aneurism and has passed on from this life. We ask that you join us in offering prayers and/or sending positive energies to her and her family in this time. In lieu of flowers, the family has requested donations be made to Johns Hopkins Medicine. 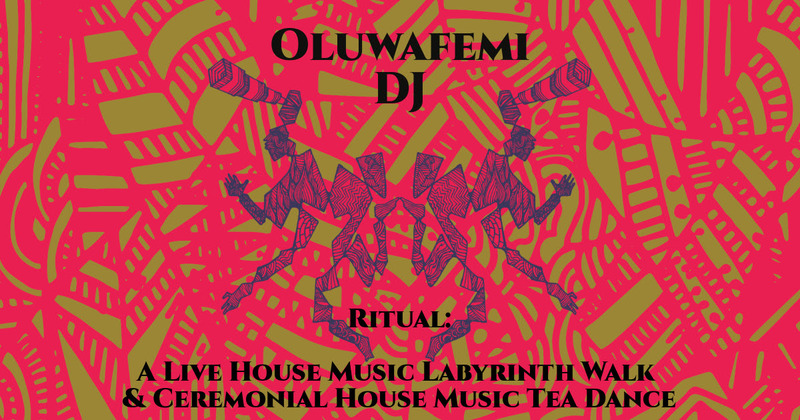 Featuring the classic rhythms, soul, and funk with world fusions of DJ OluwaFemi, the House Music Labyrinth, a new ancient Knucklean Cosmology, locates the Universe’s song as House Music. A House Music Labyrinth walk and dance moves in the directionlessness of the Universe, which is comprised of infinite vinyl, endless and beginning-less, grooving towards the center of itself, where eventually the natural forces of its descendants and progeny dancing, lures us into a continuous stream of love out of nothing from nowhere into everyone. The House Music Tea Dance Ceremony, also called “The Way of Jack”, is a House Music cultural activity involving the ceremonial preparation and presentation of house music, in all its states of matter: solids, liquids, gases, plasma, Bose-Einstein condensates, post-coital bliss, rebirth, and love. In House Music culture, it is called “The Carry On” or “Levaniathan”, while the manner in which it is performed, or the art of its performance, is called “Tea Dance”. Come to the dance floor, the thresh, leave your burdens and get your life. Come walk the labyrinth to house music. Come be poured into by the house music of the tea dance. Check out more information and RSVP here. How are you creating peace here in Oakland? To what do you commit to bring about peace? Visit our web site and let us know and we get a buck for each act of peace contributed, up to $1000! Visit the complete listing of OPC partners here. 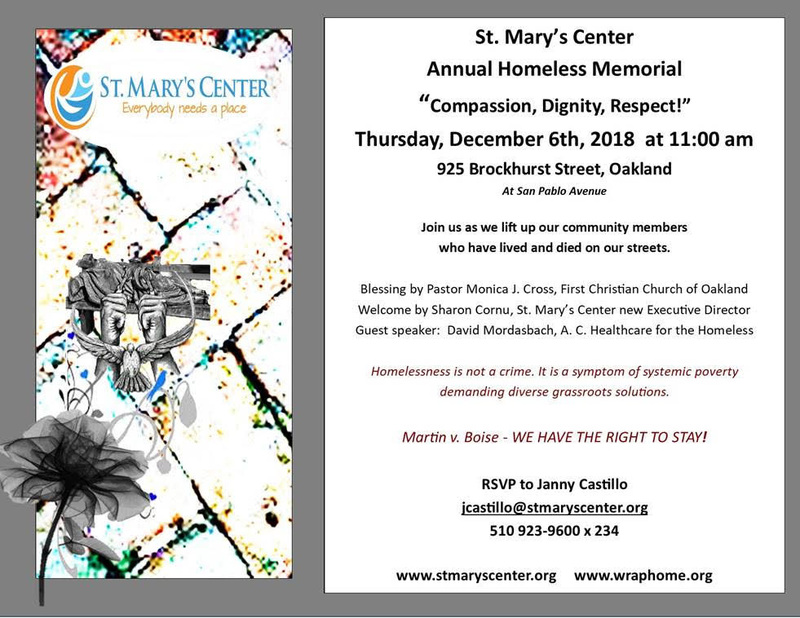 St. Mary’s Center invites you to attend our Annual Homeless Memorial on Thursday, December 6 at 11:00 a.m. Please join us and do send in names of family and friends who have lived and died on our streets to be placed on our altar. 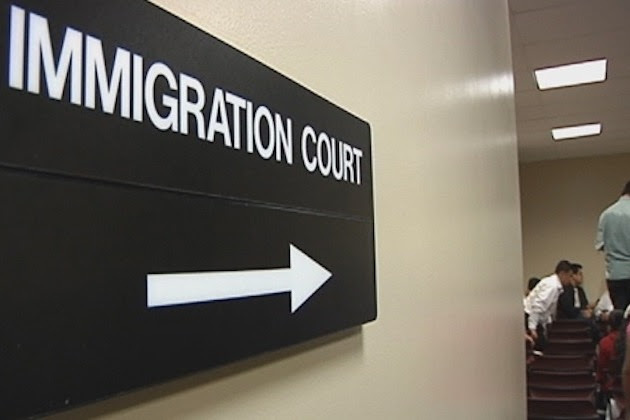 The Mustard Seed Immigration Law Project is one of the ministries sponsored by OPC partner Tapestry Ministries. Peggy Bristol is an immigration attorney who, on behalf of Mustard Seed, represents men, women and children who are fleeing violence in their own countries. Peggy represents many of them, including unaccompanied minors, in their asylum cases at no charge. They are seeking donations to support their heavy immigration case-loads representing folks desperately seeking peace in their lives. Contribute here. 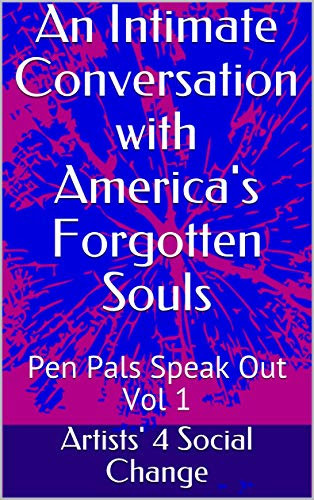 LaDasha ‘Diamond’ Berry of OPC partner New Beginnings Sister Circle is one of the authors of An Intimate Conversation with America’s Forgotten Souls: Pen Pals Speak Out Vol 1. This book is an anthology of poetry, manifestos and other creative writings produced by prisoners, ex offenders, activists and those who love and support them. It is an intimate look inside the heart’s and minds of America’s forgotten community members. LaDasha is the co facilitator of the New Beginnings sister circle and Founder of Artists 4 Social Change. 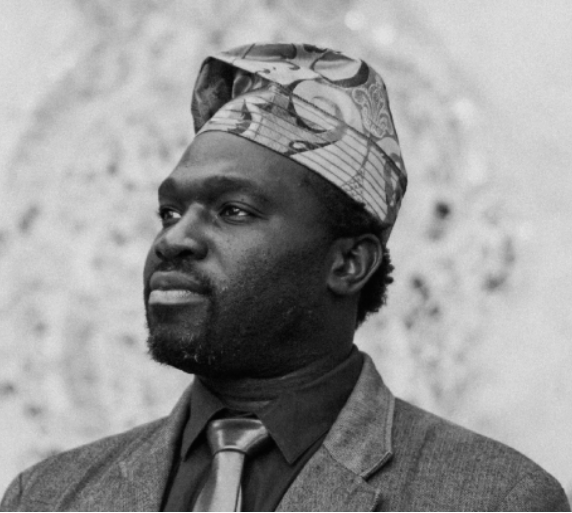 As an Artist and Activist LaDasha works with various non-profit organizations including United Roots and the Urban Peace movement in order to inspire uplift and empower marginalized and disenfranchised community members by infusing Arts with Social Justice. To support the Artists 4 Social Change: Pen Pal Campaign you can purchase a poetry book online here or send a donation via paypal with subject: pen pal fundraiser to smoothwriter1@gmail.com. In this two-day* immersive training by OPC partner Niroga Institute, you will have the opportunity to experience Niroga’s Transformative Life Skills Curriculum – our scientifically validated, 440-page curriculum comprised of 48 scripted 15-minute Dynamic Mindfulness lessons that can be facilitated in diverse settings, with individuals or groups. Learn how to introduce dynamic mindfulness as a tool that will increase self-awareness, improve emotional regulation, promote healthy relationships and boost stress resilience. 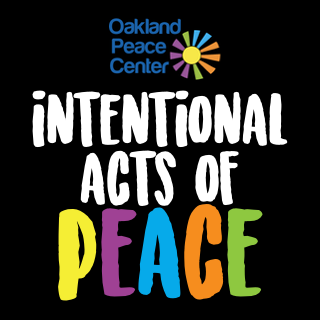 Follow us on social media (Facebook, Twitter, Instagram) and please consider supporting the work of the Oakland Peace Center.